Mr. James has over 30 years’ experience in the Technology, Telecommunications and Media Industries, and has extensive experience as Chair, Non-Executive Director and Chief Executive Officer across a range of publicly listed and private companies. He is currently Chair of ASX-listed companies Macquarie Telecom and nearmap. Mr. James has recently completed 12 years as a Non-Executive Director for ASX-listed iiNet, Australia’s second largest DSL Internet Services Provider, chairing iiNet’s Strategy and Innovation Committee. iiNet was been acquired by TPG Telecom for AUD $1.56b. He travels extensively reviewing innovation and consumer trends primarily in the US and also Asia and he is a successful investor in a number of Digital Media, e-commerce and Technology businesses in Australia and the US. Mr. James is an experienced business leader with significant strategic and operational expertise. He is a Fellow of the Australian Institute of Company Directors, a Member of the Australian Computer Society and holds a BA Degree with Majors in Computer Science and Business. Mr. Vornik is an experienced senior executive with investment banking and treasury experience at the Royal Bank of Canada, Leighton Contractors, Brookfield, Deutsche Bank and ABN AMRO. Prior to becoming the CEO of DroneShield, Mr. Vornik was its Chief Financial Officer. 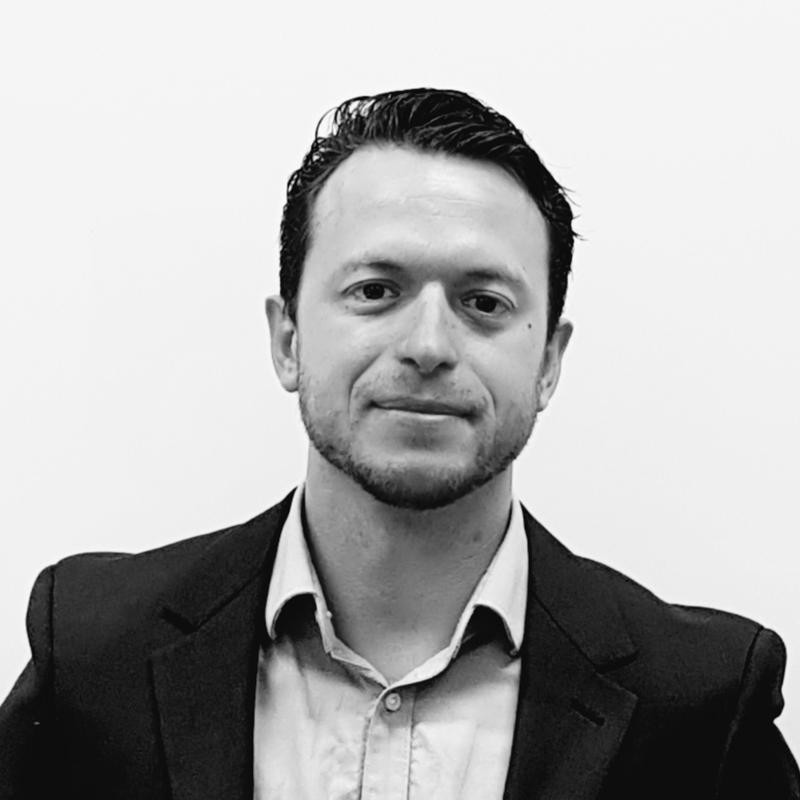 His previous experience includes energy and industrials investment banking with the Sydney office of the Royal Bank of Canada as well as investment banking roles with Brookfield Asset Management, Deutsche Bank and ABN AMRO in Australia and New Zealand and the position of a Treasurer at Leighton Contractors. Mr. Vornik holds a BSc (Mathematics) and BCom (Hons) from University of Canterbury, New Zealand and has completed a business program with Columbia University in New York. After co-leading the Company in the role of the Chief Financial Officer for over a year, Mr. Vornik was appointed as the CEO and Managing Director of DroneShield on 24 January 2017. With a background in Industrial Design and Mechanical Engineering, Angus Bean brings a wealth of knowledge in product development through to production management. Mr. Bean merges the various fields of mechanical hardware, electronics, software, digital interface and technology. Mr. Bean joined DroneShield early in 2016, since then has been a driving force in DroneShield’s technology team, working to build the team and the technology to deliver on key projects and milestones. Previous to DroneShield, Mr. Bean was the Development Lead for Australia’s largest and most prominent industrial design consultancy. Over his career, Mr Bean has adopted both a collaborative and leadership role on a number of projects which have attracted multiple Australian and International Awards in Innovation, Consumer Electronics, Defence and Cyber Security. Mr. Bean holds a BDesign in Industrial Design (First Class Hon) from the University of Technology, Sydney. James joined DroneShield after a highly successful career with the Australian Army. This experience saw James complete 17 years service, with 12 years of this time spent serving within Special Operations. He completed 11 operational deployments and took part in active service globally. At the conclusion of his career in the ADF, James managed a sales portfolio for a company that included Defence, Law Enforcement and Government clients within Australia. He has conducted high level Security and Risk training for various Government clients. James holds Diplomas in Business, Project Management and Security and Risk Management. He also holds a GradCert in Terrorism and Security Studies. Mr. Stamm is approaching two decades in the military defense industry. Starting his career as a mechanical engineer, he has excelled in defense technology development as he progressed through the roles of senior systems engineer, project manager, and program director at some of the United States’ most renowned defense contractors. Mr. Stamm is a leading expert in C-UAS systems, technologies, and products. He has been working in the field for more than five years and helped to define the commercial UAS countermeasure market. He has been engaged in all aspects of C-UAS technology ranging from concept creation to program management through business development. Mr. Stamm has had the honor of working closely with some of the U.S.’s most elite Soldiers, Sailors, Airmen, and Marines through his work in the defense industry. He has four patents and multiple trade secrets for sophisticated defense technology, the details of which are often classified. He holds a Bachelor of Science degree from the Ohio State University and an MBA from Ohio University. Mr. Franklin is one of DroneShield’s co-founders. Mr. Franklin holds an MSc in Applied and Computational Math from John Hopkins University. Previously, Mr. Franklin was a member of the research staff at the Air and Missile Defense Sector at Johns Hopkins University Applied Physics Laboratory, and Adjunct Research Associate (Science and Technology Division) at the Institute for Defense Analyses. Mr Boyd-Moss has over 30 years of global RF and Electronic engineering experience from product design to RF system architecture and field integration in various roles held such as engineering, product and general manager. A working knowledge of regulatory compliance standards and specialist knowledge in areas such as antenna and power design and manufacturing, anechoic chamber and open-air antenna test ranges, RF propagation studies, RF interference, RF communication modulation techniques adds to Hedley’s ability to drive our resources to not only meet aggressive product delivery deadlines but to innovate to meet ambitious technical objectives. Alongside this Hedley brings broad hands-on experience across control systems, analogue and digital two-way radio and cellular communication networks, system products and antenna engineering. Mr. Newell is an experienced legal and international compliance leader in the U.S. defence and IT sectors. Mr. Newell previously worked for DXC Technology as the Global Compliance Lead where he oversaw the Anti-Bribery, Global Trade and HIPAA compliance programs. In that role, Mr. Newell coordinated regulatory correspondence, licenses, disclosures and acted as the ITAR and FCPA subject matter expert for the DXC legal department. Mr. Newell was also involved in M&A due diligence, oversaw training development, wrote compliance policies and managed the policy approval process for the company globally. Prior to his tenure at DXC, Mr. Newell spent six years at the prime defence contractor BAE Systems where he was a compliance officer specializing in export control and third party due diligence. Mr. Newell holds a BA from the University of Colorado, Colorado Springs; a Juris Doctor of Law degree from the Catholic University in Washington DC and is an active member of the Virginia State Bar. Mr. Jagger works in the company secretarial division of Whittens & McKeough, a Sydney based law firm specialising in corporate and commercial law. Mr. Jagger provides company secretarial and corporate compliance services to several listed public and private companies. Mr. Jagger has 10 years' experience in the financial services sector.